Remake it. Remake it new. Remake it usable. Just finished up a first version of a Charcuterie and Cheese Plate. As usual, I used a lot of old material. 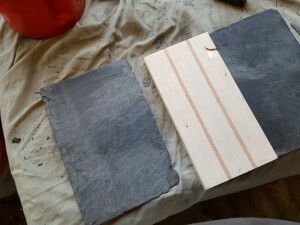 I had some slate pieces. Still have more actually. 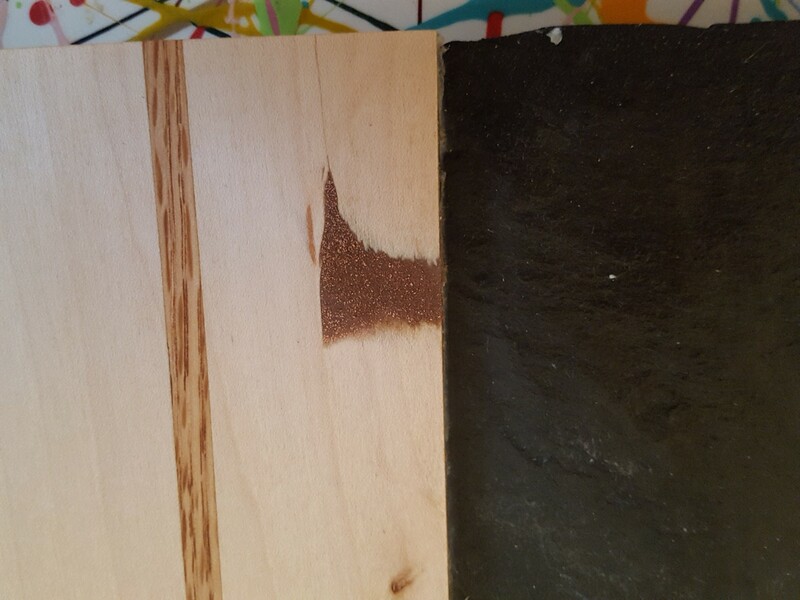 Some maple for a ruined cutting board. And I used some oak strips leftover from an old project. I’ve been wanting to do something like this for a while. Just had not sorted out the best way to put everything together in a way I liked. Its roughly 17 inches by 10 inches. Finally, got the idea of two wings and a center wood piece. First I had to construct the center board of 5 pieces of wood. 3 maple and 2 of the oak slats. Then some smoothing to make it all nice and flat. Because, of course, its wasn’t. Next route slots to take the slate. Cutting the slate took a little practice as I goofed and cracked at least one piece. In the end in took a careful scribing and the breaking over a board. Rather like glass, Ha, maybe easier than glass! There was some edge smoothing to do all around the slate pieces. Next move of course was epoxy and slotting in the “wings” in and supporting them below. Oddly, I found a bad spot in the maple about then. I used an epoxy filler with copper grindings to fill it. It came out looking pretty nice afterward. 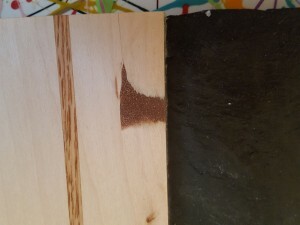 Finish the piece require more sanding. First with the palm sander at 100 and 120. And then by hand with some higher numbers. 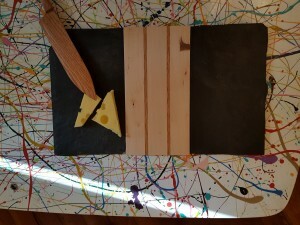 I used a blend of Beeswax and Mineral Oil that I had heated up to finish the wood parts. 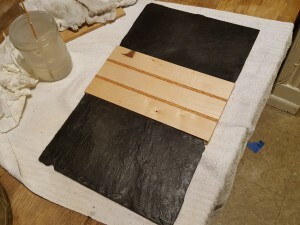 I put a finish of the same on the slate, so it looks rather nice, shiny and smooth. 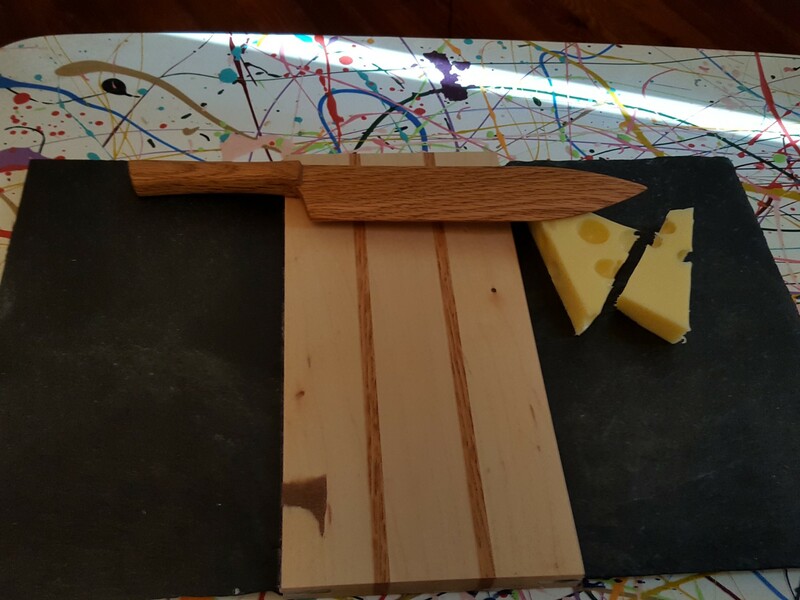 It’s going to go really nice with the wooden cheese/cake knives I have been working on. Well with any knife. Covered with cheese, meats and some condiments. Serving your holiday parties. Now it can be yours. Until you wait and let someone else buy it. 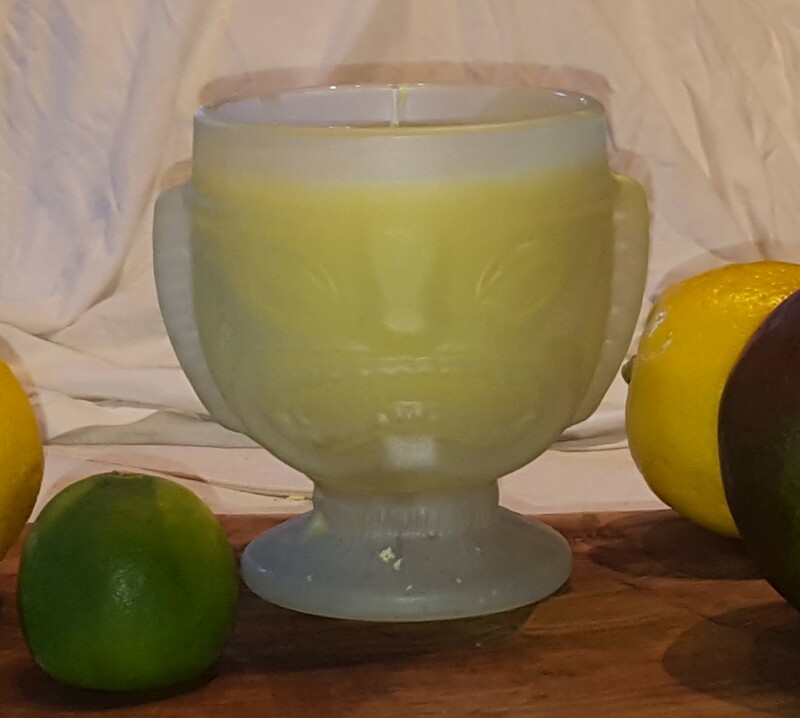 $36.00. If you are in Cincinnati, delivery is free. Or you can pick it up.